George Osborne will not announce a cut to tax relief for pensions in the March Budget according to a BBC Treasury source, anticipated by the pension market following the new freedoms introduced in 2015 allowing people retiring to avoid buying an annuity. The Treasury had been looking at ways to reduce the £1.5 trillion deficit using a number of methods to adjust pensions that would reduce the tax rebates estimated to cost HM Revenue & Customs £35 billion a year. Following a white paper consultation it was thought the chancellor may introduce a flat rate of tax relief such as 20, 25 or 30 per cent. This would have benefited basic rate taxpayers while penalised higher rate taxpayers. An alternative would be to abolish all tax relief for contributions and allow tax-free access to income creating a pensions Isa. This approach would give the Treasury an immediate tax gain in the short term while reducing the revenue flexi-access drawdown and annuities in the long term. 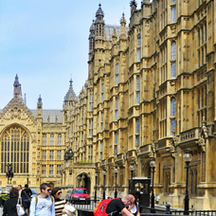 Pension tax relief has been at the core of the pensions system in the UK used as an incentive for savers, employees and employers to benefit by making contributions. Tax relief is offered at a rate of 20%, 40% and 45% depending on the marginal rate of tax for the saver. For a basic rate taxpayer a contribution of £10,000 gross to a pension would mean they only have to contribute £8,000 and the provider would claim £2,000 from HM Revenue & Customs. For a higher rate taxpayer the same would apply and the saver would be able to claim back a further £2,000 through their self-assessment resulting in an actual contribution of £6,000 for a £10,000 investment. The maximum you can contribute to a pension in the current tax year is £40,000 or up to your salary to receive tax relief. 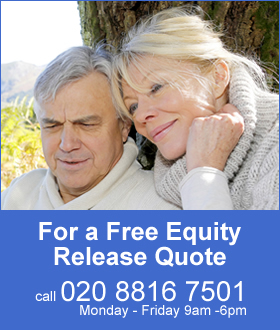 If you are taking an income from an annuity or flexi-access drawdown your annual allowance is limited to £10,000. If you have been working for the previous three tax years you can go back to claim un-used tax relief called carry forward in addition to your annual allowance. The chancellor has already made changes following the pension freedoms affecting higher earners effective from April 2016. The lifetime allowance has been reduced from £1.25 million to £1 million. For those earning £150,000 or more the annual allowance that qualifies for full marginal rate tax is to be tapered from £40,000 down to £10,000 thereby restricting the amount of benefit for high earners. The changes introduced from April 2015 allow people retiring to access their whole pension fund, 25% tax free lump sum and the remainder subject to marginal rate tax. With greater flexibility there are now fairer ways to pass on pension assets to a spouse or children with the abolition of the 55% pension tax on death. If death occurs under the age of 75 the benefits to a spouse or children can be received free from tax and if death occurred after the age of 75 marginal rate of tax would apply. The changes have resulted in a significant change in the way people take their benefits. Sales of annuities were at 74,000 in the first quarter 2014 and in the second quarter of 2015 this had reduced to only 12,000 or an 83% reduction.